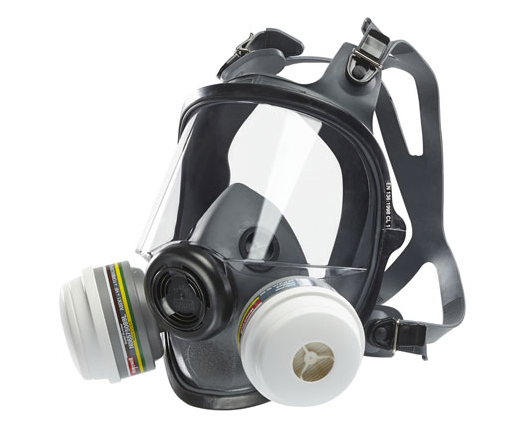 The NORTH N5400 is a black high performance twin filter (Class 1) full-face mask respirator. Lightweight and low profile ergonomic design of the face piece gives high levels of user acceptance. Unique cradle head band and yoke piece gives ease of adjustment. Contoured revert seal gives an excellent face seal that will not cause discomfort. Size medium/large. EN140. Filters ordered separately.